Our Fully Hosted Pamper Parties are the perfect idea for those girls who just love to be pampered! Each guest will be treated with facials, manicures, make up, and foot baths. After completing the glamour looks, we play a range of celebrity themed games. Our pamper parties are interactive and all about fun! One of our Glamour Queens will come to your venue of choice and bring everything needed for a truly luxurious experience. One host will be able to pamper up to 6 kids during the party. If you have 7 - 12 little luxury seekers coming we'll send two hosts to make sure all kids get the full pamper experience! A super fun glamour photo shoot! 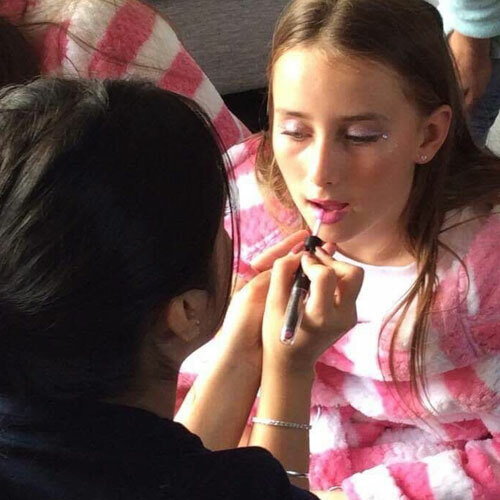 Our Pamper Party is perfect for girls aged 8 to 13 years. If girls younger than 8, ask us about our Junior Pamper Party! The ideal group size is 6 - 12 children. If you are going to have more than 12 kids ask us about our girl power pack! Get in touch with Amazing today to plan your perfect Pamper Party. Request a booking, or to speak with an Amazing Concierge, call or inquire online.